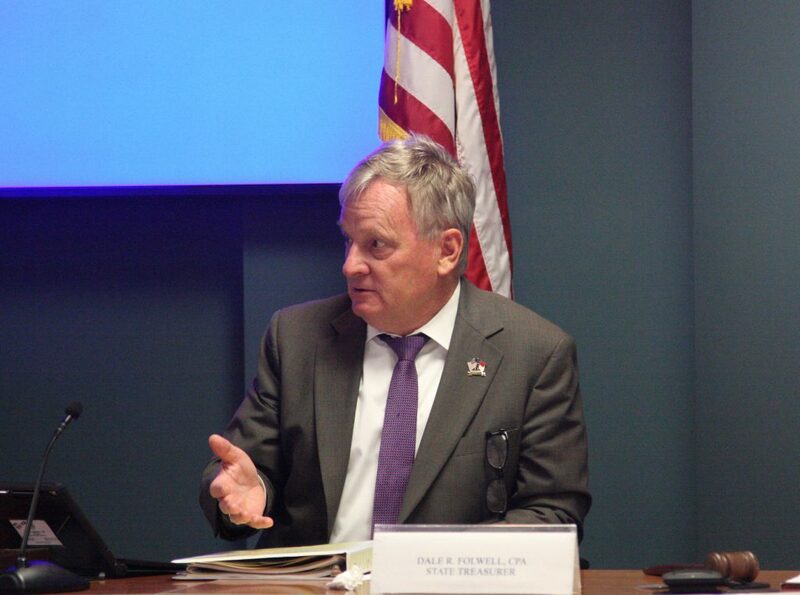 A constitutional amendment capping the state’s top income tax rate at 7 percent didn’t seem to spook national bond-rating agencies, state Treasurer Dale Folwell said. The three agencies recently reaffirmed the state’s AAA bond rating. Folwell made the announcement about the bond rating Wednesday, July 11. He noted North Carolina is one of only 13 states to achieve that rating. Growing state reserves and conservative fiscal management, hallmarks of the Republican-led General Assembly since it won a majority of legislative seats in 2010, also contributed to the rating. The ratings were assigned as the state prepares to issue $400 million of voter-approved General Obligation Public Improvement Bonds, most likely July 18. It would be the second issuance. The first, for $200 million, was floated in 2016. The Connect NC bonds total $2 billion for universities, community colleges, local parks, infrastructure, and other projects. Local governments welcomed Folwell’s announcement. “This is great news, and demonstrates that North Carolina has some of the most sound financial stewardship in the country at the state and local levels,” said Scott Mooneyham, spokesman for the N.C. League of Municipalities. “North Carolina is one of few states to consistently earn the highest possible credit rating by the three major bond rating agencies. This makes North Carolina highly competitive in attracting investment and jobs, and it also keeps interest rates low,” said Kevin Leonard, N.C. Association of County Commissioners executive director. “Given the state’s favorable borrowing capacity, NCACC is urging lawmakers to pass legislation that would allow voters to consider a statewide bond, which would provide $1.9 billion in school construction grants to all 100 counties. In addition to funding existing capital needs, counties are working to implement new class size mandates and answer calls for school security enhancements,” Leonard said. As construction costs continue to increase, it will become more expensive to address these needs in the future, Leonard said. Folwell was not enthusiastic about adding a school construction bond to the state’s debt Tuesday during his monthly Ask Me Anything conference call with reporters. “[W]e need to be very careful about the amount of debt this state takes on going forward,” Folwell said. S&P Global Ratings noted North Carolina’s establishment of the first-ever Solvency Fund to address the state’s nearly $50 billion in health care and pension IOU’s. He said the solvency fund has “spigots” from which it can draw funds to pay down $35 billion in State Health Plan unfunded liabilities, and $15 billion in retirement system unfunded liabilities. Moody’s Investors Service noted the state’s strong, conservative fiscal management. Fitch Ratings referenced North Carolina’s exceptionally strong ability to close budget gaps during economic downturns.